Relaunching a brand to disrupt a staid category filled with sameness. How can we use digital to redefine a media management software company and build awareness in a competitive marketplace? A New Look: The yellow and charcoal color palette, bold fonts and human imagery invigorated and elevated the brand. 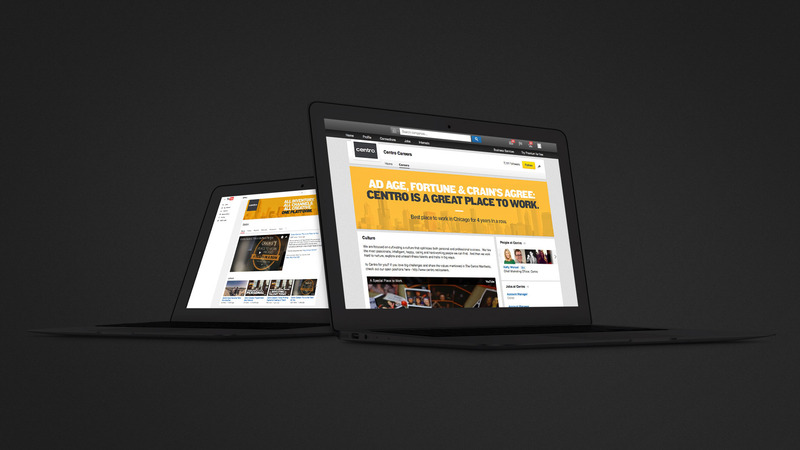 Putting People First: Centro’s focus on user experience informed the entire rebrand, from IA to messaging and imagery. 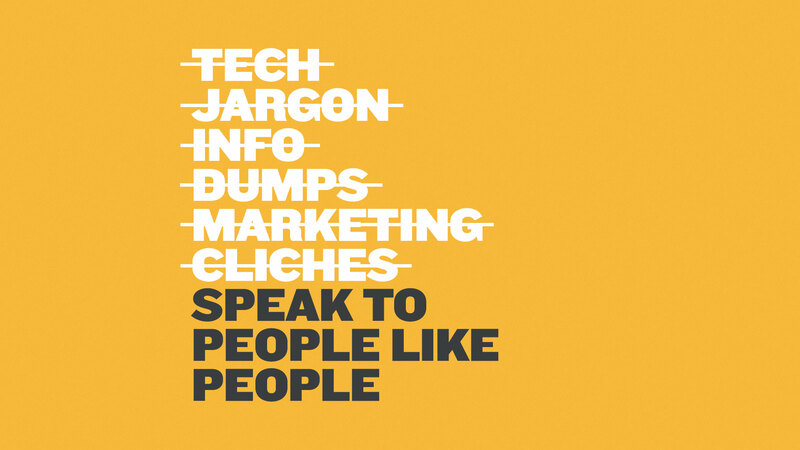 Setting the Tone: We eliminated jargon and vagueness, embracing a straight talking voice that reflects Centro’s values. 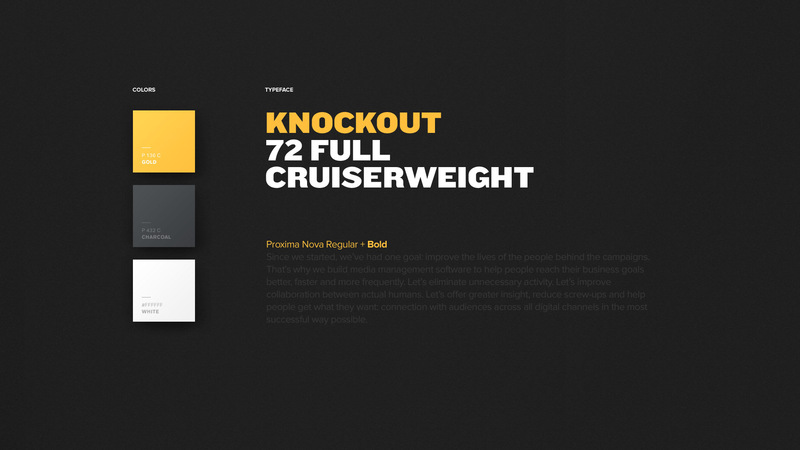 In the Details: We updated the brand guidelines to feature new typeface and color treatments to inform all collateral. Consistency: We brought the new brand positioning to life across all of Centro’s internal and external-facing touchpoints. 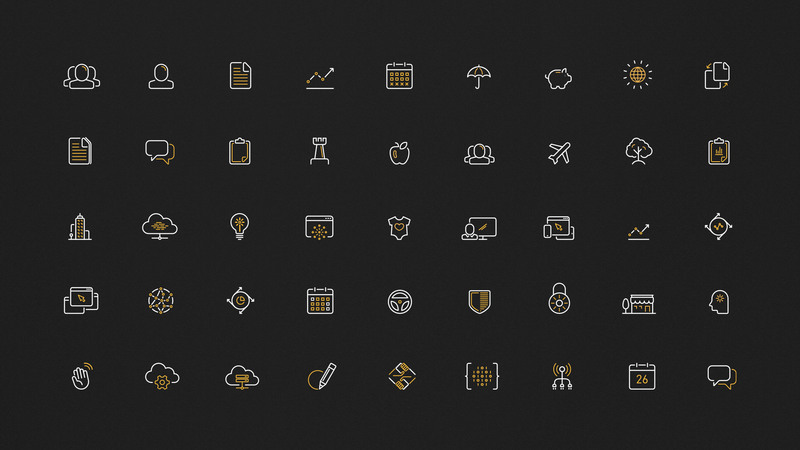 Iconography: We designed a full set of iconography for the website and all presentations templates. Bespoke: We created custom illustrations for their product pages and rewrote the copy to explain each offering in a more human way. 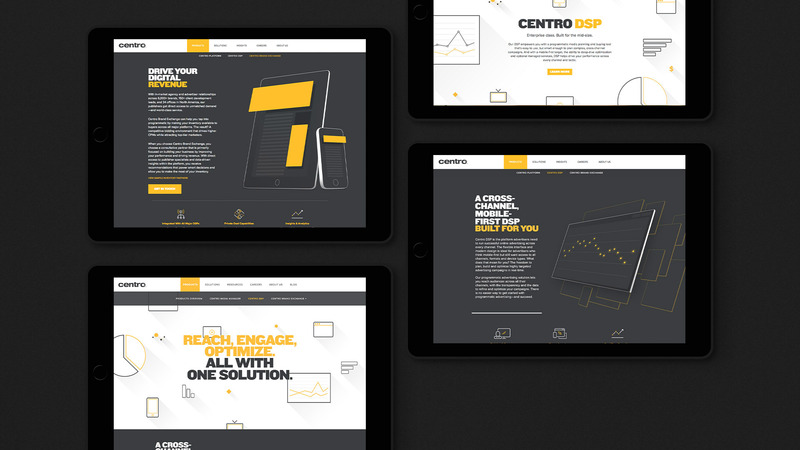 Centro is a digital media management software and services company that had low awareness within the B2B media category. With a new product on the horizon, they wanted an updated website to increase their brand presence, but in this noisy marketplace, a new site was not enough. 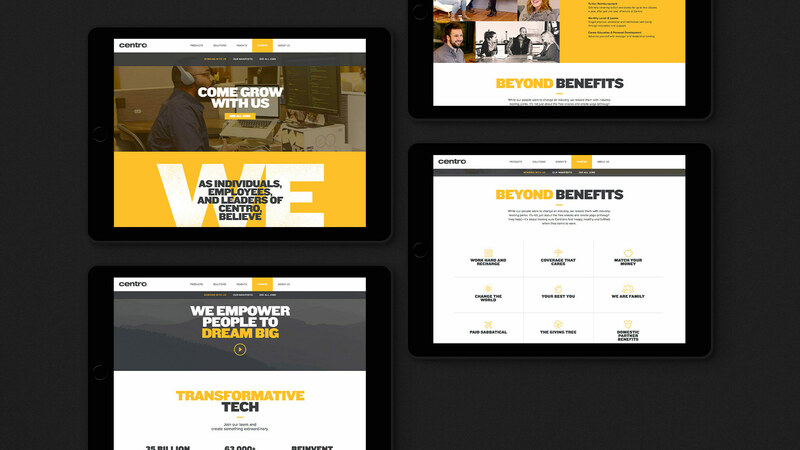 What Centro really needed was a new brand positioning that would disrupt the category and connect with its target audiences of new customers, potential employees, and most importantly, the 500+ people who already work there. Through company-wide stakeholder interviews, product immersions, category analysis and target research, we delivered a brand positioning that differentiated Centro from the sea of sameness of B2B tech and provided more clarity around the benefits of each of their products. 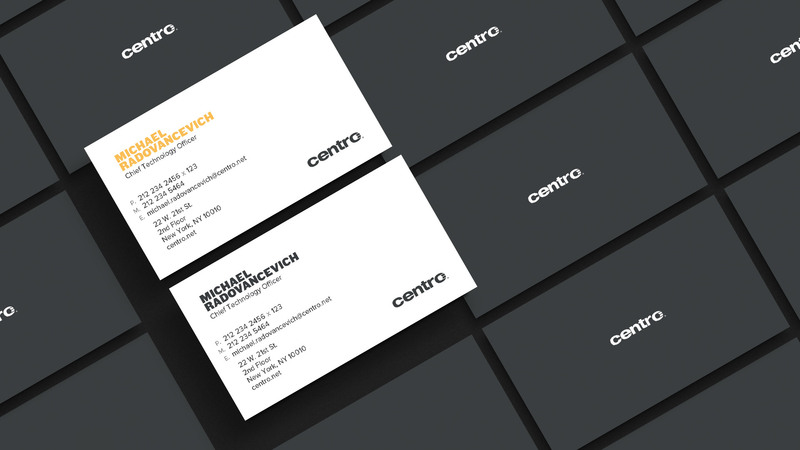 We partnered with Centro to develop a visual and verbal identity that is refreshingly human and easy to understand. We then brought the new brand positioning to life across all of Centro’s internal and external-facing touchpoints and renovated all aspects of the brand. We built a best-in-class website. Every page clearly articulates Centro’s purpose and products so it’s easy for everyone—from junior media planners to Fortune 500 CTOs—to get on board. The new Centro brand captures the spirit of the company and sets it apart among a very noisy and competitive category. We changed the perception of what a B2B company can look like, act like and be.